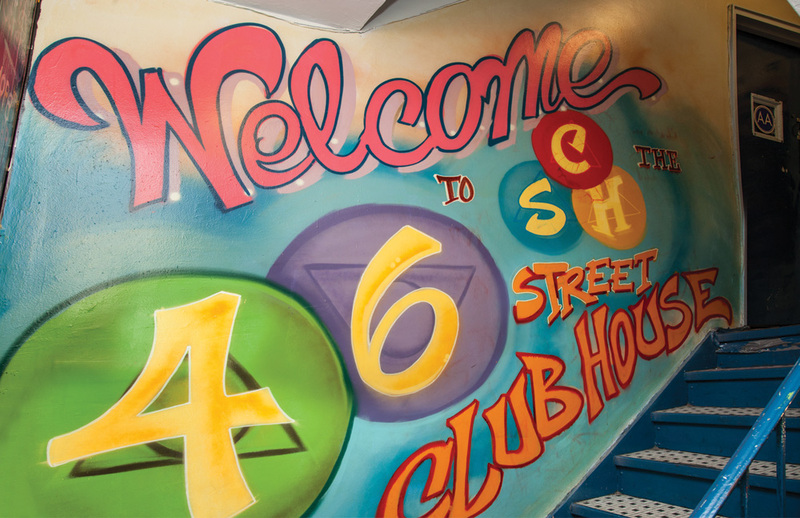 Comedy benefit to help support the 46th St. Clubhouse, a foundation of the Recovery community. Proceeds will benefit the Clubhouse directly in an effort to help offset rising costs. We’re trying to keep recovery affordable! Karen Bergreen Karen is known to her audiences as clever, quirky and geeky. Lurking beneath her wimpy exterior is a Harvard graduate, corporate litigator, and dictatorial mother of two. With a scathing wit, Karen surprises corporate and comedy club audiences alike with her unexpected jabs jumping from her otherwise benign demeanor. All this, and Karen has received a G rating from the motion picture association of America. Karen has been a favorite at dozens of corporate events. She has performed at parties and retreats for Credit Suisse/First Boston, Morgan Stanley, The Bali Compnay, Viacom, Accenture, General Electric, Golden Tree Asset Management, Gilda's Club, The Spence School, Buzzmetrics. Karen has also performed for personal celebrations, tailoring her comedy for birthdays, anniversaries, bar/bat mitzvahs. She even does kids' birthday parties. A regular on the New York comedy scene, Karen has been invited to perform at the U.S. Comedy Arts Festival in Aspen, Colorado, the Friars Club in New York City and The Kennedy Center in Washington D.C. She has performed her stand up on television on Comedy Central’s Premium Blend and New Joke City with Robert Klein. She was a comic panelist on the Oxygen Network’s nightly game show “Can You Tell?” She has been a guest comedian, correspondent and panelist on various television and radio programs in the U.S., Great Britain and Canada, including “Tough Crowd with Colin Quinn.” Also an actress, Karen has been seen on a variety of National Television Commercials, independent films, television pilots, and NBC’s Law & Order. Karen has recently written for Nick at Nite’s Search for the Funniest Mom in America and has also penned the Millie Cartoon for Mademoiselle Magazine. She is frequently hired to write for celebrity comedians and for private individuals who have been asked to perform roasts at corporate events.